We live in an era of rapid innovation in financial technology that is transforming how banks, private equity firms and other investors evaluate business opportunities and quantify risk. Yet the prevailing methods for exchanging private company financial information among key stakeholders such as CPAs, corporate management and lenders and investors have largely not kept pace with the sweeping change in this sector. In short, the system is broken, leading to a greater risk of fraud in transactions and delays in the lending process, which could ultimately result in CPAs playing a less significant or relevant role – or worse, being pushed out of the process altogether. Audited financial statements are arguably the gold standard data source for assessing the current health and prospects of a private company. But the current delivery methods employed by CPA firms for that information – emailed PDFs or mail courier, for example – put them at a distinct disadvantage in a banking industry increasingly reliant on data that flows over a secure, digital infrastructure. To put it simply: if you’re the bottleneck in a process dedicated to driving out inefficiencies, you’re a problem. The good news is these problems can be addressed, and CPAs can strengthen their position in the value chain for the long haul. But first let’s talk about the place we currently find ourselves in. CPAs have always played a critical role in lending decisions for private companies. About 40 percent of small business principals turn to consultants such as accountants for guidance on financing decisions – the largest category of advice givers behind banks and lenders themselves, according to the Federal Reserve’s 2015 Small Business Credit Survey. With strong links to their communities, CPAs also are a key bridge for connecting private companies with local banks. This relationship banking role will continue to be an important one for the profession, but the rise of alternative lending platforms – where analytics and algorithms rule, not personal ties – creates different priorities and needs. About one-in-five small businesses currently seek financing from online lenders, according to the Federal Reserve, and that number is only expected to grow. At the same time, you also have many of the large commercial banks evaluating alternative lending platforms as potential private-label solutions, which would replace and power their increasingly obsolescent legacy systems. Because of this, online lenders and traditional banks both have a critical need for reliable, third-party information – the kind that’s available instantly, in digital form and from an unimpeachable source. In the public company sphere, the SEC’s EDGAR filing system fills that role but there is no central hub for private companies. Instead, lenders tap business tax filings from the IRS and credit reports from commercial databases, among other sources. Because of liability risks, CPA firms often choose to not confirm the validity of financial statements and other documents to outside parties such as banks and investors. In practice, private company management controls the distribution of these materials, which creates a window of opportunity for unscrupulous companies who can change numbers in a legitimate document or create an altogether fictitious report. The lack of a defined confirmation process can have implications for a CPA firm’s reputation if fraud is later discovered, even if the firm was completely unaware of the wrongdoing. The system ensures that financial statements and other key data was provided by a licensed CPA firm. Fictitious or sanctioned firms are weeded out, reducing the risk of fraud. Private companies have broad control over who can view their encrypted financial information on the secure, cloud-based platform, but cannot alter critical data uploaded by a CPA firm. 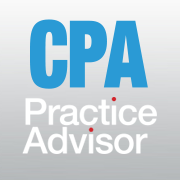 That gives end users peace of mind that the data is accurate and complete, and CPA firms have assurance their reputation is protected. Because the distribution of financial statements to authorized users is blind to CPA firms, they retain privity defense and other legal protections – and have greater control themselves because end users will be automatically notified if the CPA firm withdraws a statement or makes other changes. Perhaps most importantly, RIVIO restores the primacy of CPA-produced financial information in lending decisions by creating a digital clearinghouse that solves a critical marketplace need for authenticated data from a validated, trusted source. RIVIO helps ensure that CPA-produced financial information stays front-and-center in private company lending and investment decisions – right where it should be. It’s a new world in banking, one characterized by the digital flow of key financial information, and I’m confident CPAs will take the necessary steps to adapt to changing demands from the industry. With the RIVIO Clearinghouse, we feel we’re off to a good start. Erik Asgeirsson is the President and CEO of CPA.com. He has more than 20 years of experience in leading technology organizations and driving business growth. Over the past ten years Erik has driven CPA.com's focus on cloud computing and the transforming opportunities available to accounting firms and their business clients.